« Sorry but life got in the way!! These are my usual diabetes supplies. I’m sure most of you can recognize the supplies. On the left is my Diabetes Triplets that I spoke about earlier. On the right: My Pink Mio-23 inches, 6mm- My Medtronic’s reservoir- the blue clips for the beach or pool (couldn’t find any pink ones. I used to use blue and pink Mio’s but I’ve graduated to all pink! 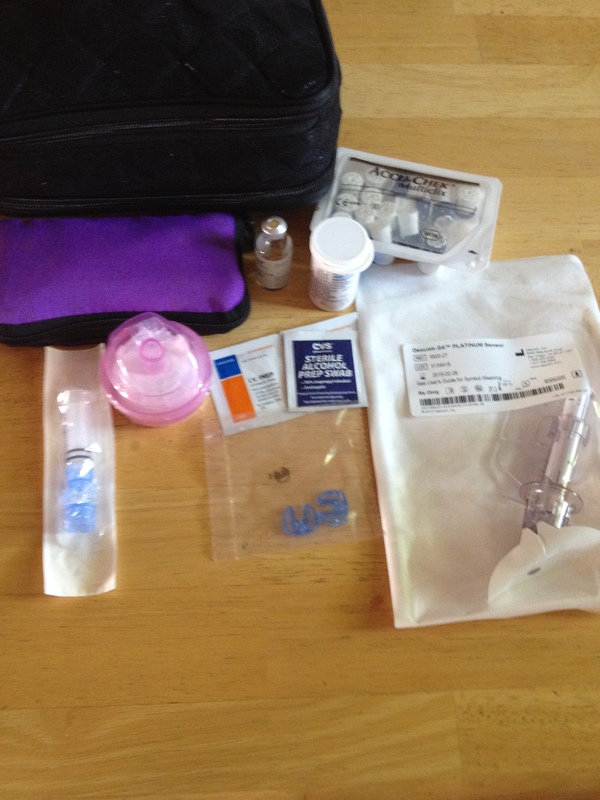 )- My alcohol and IV Prep pads- My meter check kit (Remember, I don’t use the word test. It psychologically damaging to me!! LOL!!!) My Accu Check Multiclix lancet replacements, and finally, my Dexcom sensor inserter in the package. These are my daily and sometimes weekly supplies that keep my healthy and help me manage my surgical, T1D. The black case is wear I keep the supplies that I carry with my in my bag. It’s a make up case I found at Sephora. 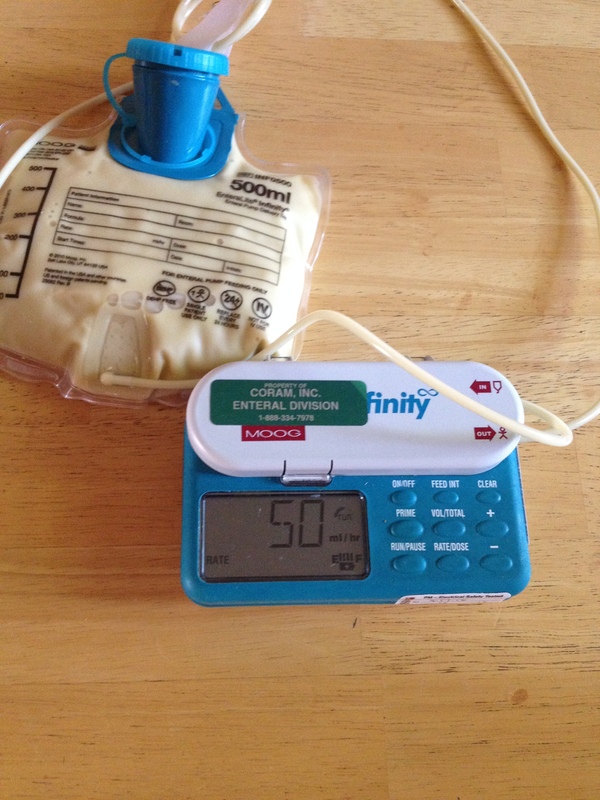 tube feeding that keeps me healthy and makes my BG guessing game interesting!! 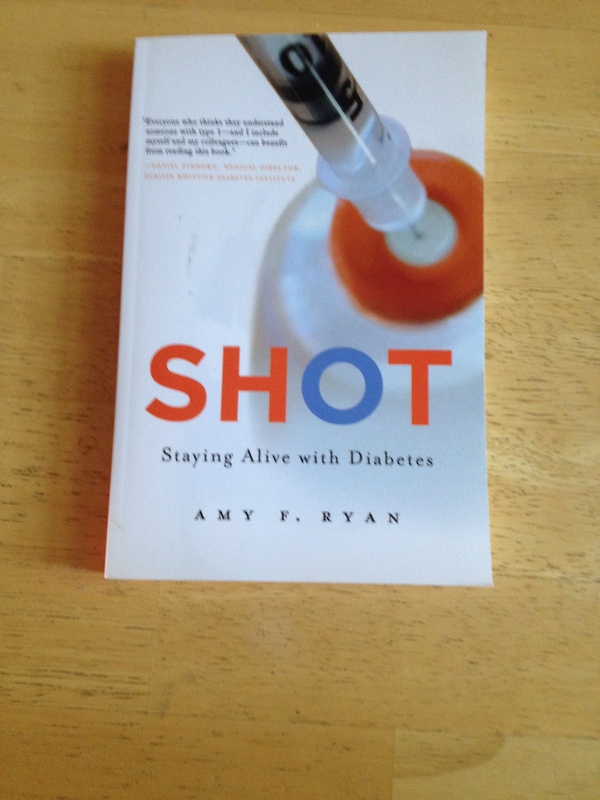 This is my new Favorite Book about dealing with T1D on a daily basis & how to live a fulfilling life. It’s called Shot, but Amy F Ryan. Check it out!! 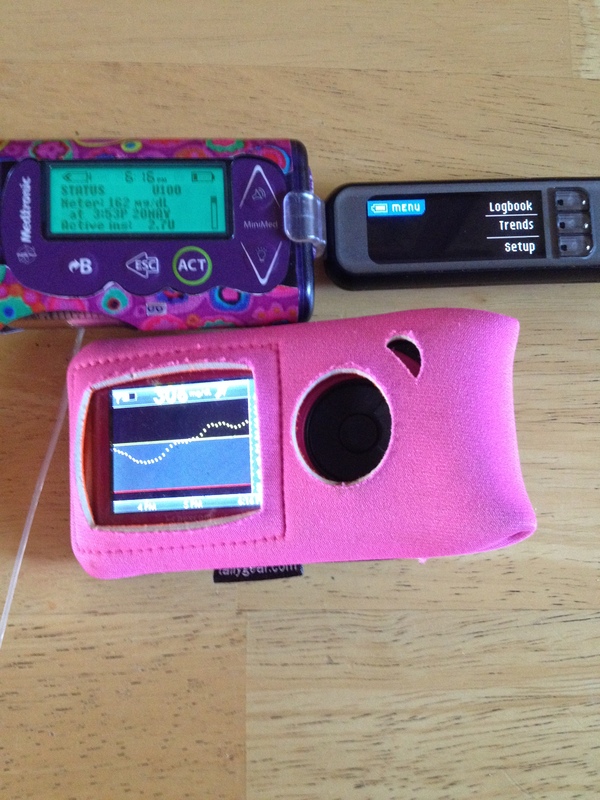 Just a few things from my life with surgical, T1D. Hope you enjoy them! !